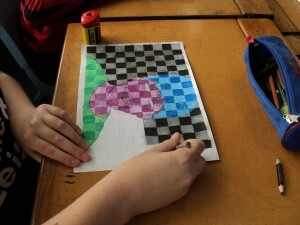 Highlights include: Learning conferences, roll growth, sports uniforms, garage sale, ukulele performance, gymsport, Home & School news and much much more! 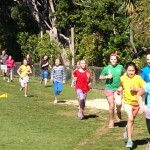 Our annual cross country was held this week with some hard fought wins and blood, sweat and tears left on the course. Congratulations to the winning Whanau …. Kahurangi!! Highlights include: roll growth, learning conferences, cross country, The Nukes ukulele trio, road safety, music festival, sports news, Home & School info… and much much more! 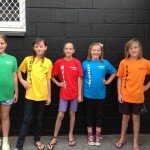 We encourage all students to dress in their Whanau Group colours for events such as the cross country next week. T shirts are available for purchase at the school office for $20 each and come in kid sizes 6 – 12. Check out this amazing piece of artwork from our senior syndicate! 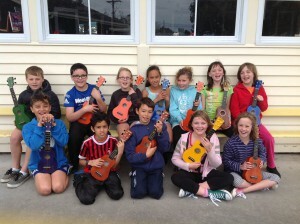 Coming up soon our talented maestros will be performing in the inaugural Great Taranaki Ukulele Festival.